Marcus Jernmark, executive chef at Aquavit restaurant in New York City, went to the Food and Fun festival in Reykjavík, Iceland. In the middle of winter. Sure, it was cold and dark, but all he can remember are the highlights. 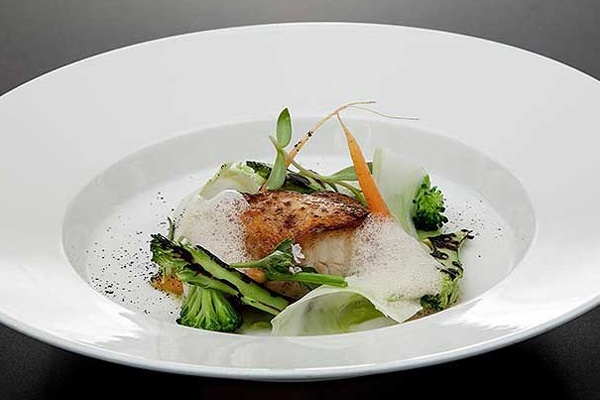 REYKJAVÍK, Iceland – I work in a New York City restaurant that specializes in Modern Nordic cuisine. I suppose that's appropriate given I was born and raised in Gothenburg, Sweden. It's the flavors I know and love. Recently, I found myself happily heading to Iceland for the Food and Fun festival. Traveling anywhere in the region feels like going home. There is a certain comfort in the subtleties of life just off the Arctic Circle. Everything — from the food to the disposition of the people — feels familiar. Food and Fun is an annual culinary event in Reykjavik, Iceland, that takes place in the middle of winter. While it is a competition, it is also a campaign to drive customers into restaurants, similar to how Restaurant Week works in the United States. The festival focuses on promoting and utilizing Icelandic ingredients — not hard given that the bounty of the land and surrounding sea is considerable in quality and quantity. Chefs from around the world collaborate on guest menus at participating restaurants. They work closely with the local teams to prepare and present their menu over the course of the week. It's a great opportunity to share knowledge, expertise, technique, and overall innovation. It's not often that chefs from different countries and cuisines get to interact on such an intimate level. I have been involved in Food and Fun for four years now, and every time I'm thrilled to make the trip. From New York you can fly Icelandair to Reykjavík and arrive in a little over five hours. As you descend, the landscape will take your breath away. Stunning charcoal lava-rock shores meet snow-capped hills. The food is not to be overlooked. It is just as amazing. I have been a judge for the last two years and, prior to that, a guest chef. The guidelines require that judges only consider what is on the plate, not the ambiance of the restaurant or the quality of the service. While those other elements are crucial to me, it's thrilling to put everything aside and honor what we can do with food. Judges are paired off and sent to six competing restaurants. 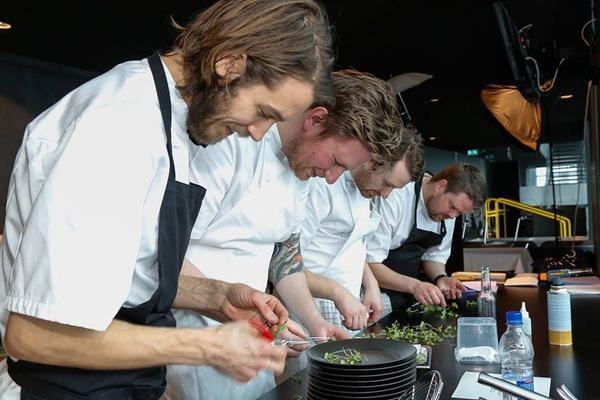 This year, chef Sven Erik Renaa of Renaa Restauranter in Norway took home top honors. Iceland and the other Nordic countries have some of the most outstanding ingredients from berries and tangy skyr to lamb and, of course, fresh fish. (Hometown love, yes. But I really believe it.) There's a purity to the ingredients here. They are local and virtually untouched In many top restaurants, someone usually forages and gathers the products by hand. This attention to detail, along with the connection and knowledge of native ingredients, is matched by a commitment to progressive techniques and a desire to innovate. This comes to life at Vox, one of my favorite restaurants on the island — and where this year's winning chef collaborated. At Vox, ingredients are elevated, not manipulated or reinvented. It is New Nordic in nature and philosophy, but more restrained than some of the other restaurants of this genre. This close to the Arctic Circle, the days are short and the nights are long in every way. The hopping nightlife tops that of the major cities and island villages of neighboring countries. Keeping up with the locals on nightly rúntur (pub crawls) is quite the feat. For a small town, there are a lot of places to hit, so be prepared to keep moving. Skip the Red Bull-vodka and go for Brennivín (schnapps). The local beverage is also fondly known as Black Death. During daylight, the party continues at one of Iceland's most visited sites not far outside the city at the rejuvenating Blue Lagoon, a geothermal spa. The steamy waters are believed to cure medical ailments, and, as you soak, servers will offer you drinks from the bar. Visitors should hit the countryside to see everything from the geysers to lava fields. Captivating expanses of unadulterated vistas contrast with industrialized Reykjavík and reflect the merging of the past and future, heritage and progress. This duality is present in many aspects of Nordic living, from design to cuisine. 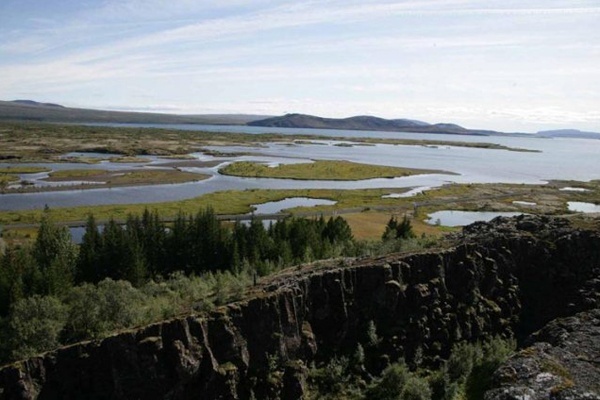 The Golden Circle tour includes the magnificent The Great Geysir, Gullfoss waterfall, and Thingvellir National Park. 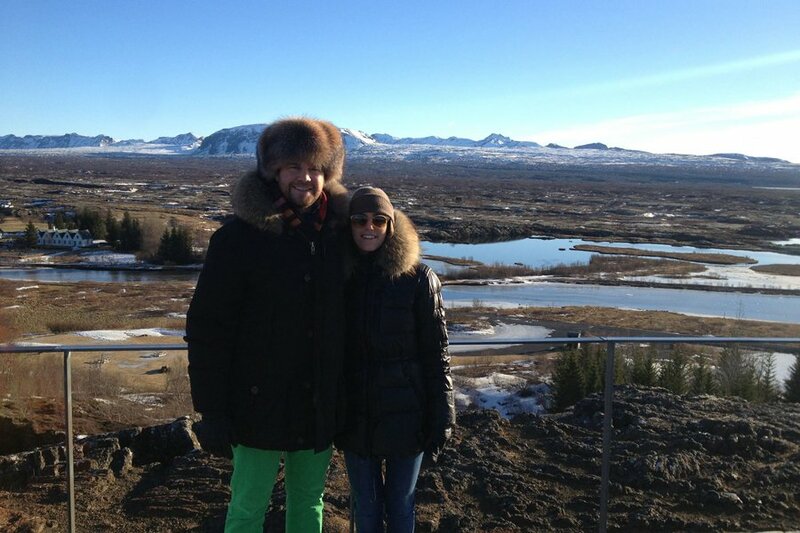 One of the peaks of the 2014 trip was not far from The Great Geysir at the restaurant Hótel Geysir. We met the chef who cooks traditional rye bread via geothermal heat. He prepares a sweet rye bread mixture, places it in milk cartons, seals them, and places them in the ground. The temperature underground is approximately 95-100 celsius, almost boiling point, so the bread essentially steamed. We ate it with hard-boiled eggs, pickled herring, and butter — a simple, delicious, comforting meal. 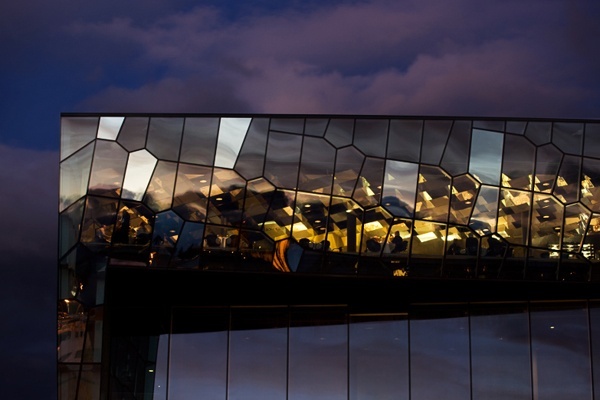 Back in the city, a stunning new cultural center, Harpa Concert Hall, reflects glimpses of the surrounding scene in its unique exterior design. Inside is the extremely impressive restaurant Kolabrautin, which celebrates Icelandic ingredients with modern Italian influences. Across the street is the unmissable Icelandic food staple: the Baejarins Beztu Pylsur (Best Hot Dogs in Town) stand. They serve one thing and one thing only, in a blend of pork, beef, and lamb. They offer toppings like raw and cooked onions (my preference), ketchup, mustard, and sweet mayo. Although it is essentially located in a parking lot, there are a few picnic tables where you can relax and enjoy your dog. 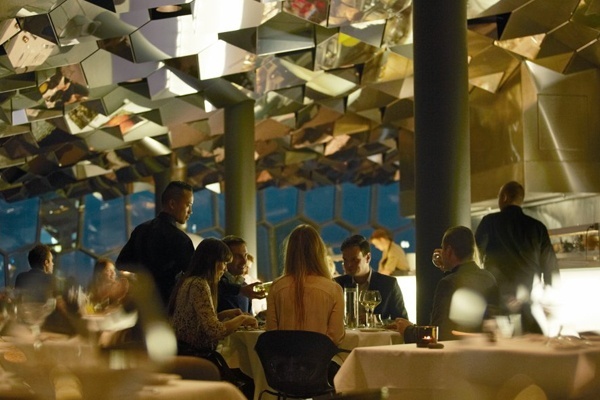 Another staple in Iceland's culinary scene is the renowned Gallery Restaurant at Hotel Holt, open since 1965. I was a guest chef here on my first trip to Food and Fun Fest. The family-run restaurant merges the best Icelandic ingredients with precise French techniques. It's old-style fine dining at its best. With the largest privately owned art collection in Iceland and seamless service, the experience at Gallery is enchanting and refined. If you head up north, never forget to look up. The bright Northern Lights are unpredictable but mesmerizing if you can catch a glimpse. If not, well, there's plenty to look at on your plate. Marcus is the executive chef at Aquavit restaurant in New York City. He travels for the food.